The 2016 Summer Reading Programs “On Your Mark, Get Set, Read!” and “Read for the Win!” both focus on sports and games. Here are some great books you can offer to those who would like to read books related to the theme. Allard, Harry. Miss Nelson Has a Field Day. Boelts, Maribeth. Happy Like Soccer. Boiger, Alexandra. Max and Marla. Brown, Marc. Arthur’s Computer Disaster. Drummond, Ree. Charlie Plays Ball. Durand, Hallie. Mitch Goes Bowling. Grandits, John. The Travel Game. Heling, Kathryn. 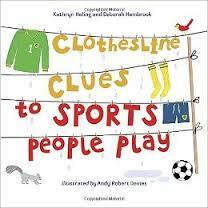 Clothesline Clues to Sports People Play. Lester, Helen. Tacky and the Winter Games. Pinkney, Brian. On the Ball. Trimmer, Christian. Mimi and Shu in I’ll Race You! Yoon, Salina. Tap to Play. Adler, David A. Don’t Throw it to Mo! Blevins, Wiley. Go, Billy, Go! Eastman, P.D. Aaron Is a Good Sport. Hsu Lin, Amy. Splat the Cat: the Name of the Game. Mills, Claudia. Gus and Grandpa at Basketball. Rylant, Cynthia. Mr. Putter and Tabby Drop the Ball. Willems, Mo. A Big Guy Took My Ball! Meshon, Aaron. Take Me Out to the Yakyu. Mills, Claudia. Izzy Barr, Running Star. Myers, Christopher. 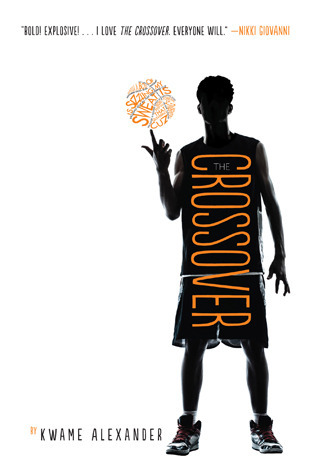 H.O.R.S.E.-A Game of Basketball and Imagination. O’Connor, Jane. Nancy Clancy: Soccer Mania. Parish, Herman. Amelia Bedelia Shapes Up. Preller, James. Scary Tales: Nightmareland. Quinn, Jordan. Let the Games Begin! Berlin, Eric. The Puzzling World of Winston Breen. Feldman, Jody. The Gollywhopper Games. Freitas, Donna. Gold Medal Winter. Grabenstein, Chris. Escape from Mr. Lemoncello’s Library. Miller, Jeff. Close Encounters of the Nerd Kind. Schreiber, Joe. Game Over, Pete Watson. Scieszka, Jon. Guys Read: Sports Pages. Snyder, Zilpha Keatley. The Egypt Game. Tashjian, Janet. My Life as a Gamer. Wesselhoeft, Conrad. Dirt Bikes, Drones, and Other Ways to Fly. Holm, Jennifer and Matthew. Squish: Game On! Holm, Jennifer and Matthew. Babymouse Goes for the Gold. Krosoczka, Jarrett. Lunch Lady and the Video Game Villain. Morse, Scott. Magic Pickle and the Creature from the Black Legume. Yang, Gene Luen. Level Up. Chatterjee, Debjani and Brian D’Arcy. Let’s Play! Poems about Sports and Games from Around the World. Lesynski, Loris. Crazy about Hockey! Prelutsky, Jack. Good Sports: Rhymes about Running, Jumping, Throwing, and More. Smith, Charles R. Hoop Kings: Poems. Birmingham, Maria. WeirdZone – Sports. Coy, John. Game Changer: John McLendon and the Secret Game. Douglas, Gabrielle. Raising the Bar. Kootstra, Kara. The Boy in Number Four. Lair, Cynthia. Feeding the Young Athlete: Sports Nutrition Made Easy for Players, Parents, and Coaches. Lang, Heather. Queen of the Track: Alice Coachman, Olympic High-Jump Champion. McCully, Emily Arnold. Queen of the Diamond: the Lizzie Murphy Story. Moss, Marissa. Barbed Wire Baseball. Smith, Charles R. Black Jack: the Ballad of Jack Johnson. Tavares, Matt. Becoming Babe Ruth. Vernick, Audrey. 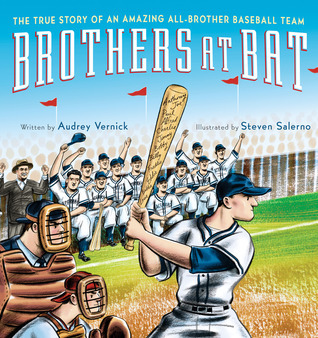 Brothers at Bat: the True Story of an Amazing All-Brother Baseball Team.